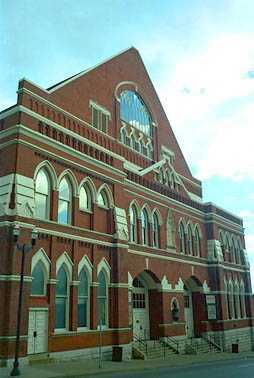 We had a great time at the concert, but they wouldn't let us bring a camera in (Doug had to go running back to the hotel, oops), so we have no pictures of the show. 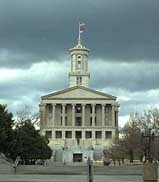 The next morning, Doug and Alex got up early and prowled the streets of the area by the capitol while Ken snoozed. 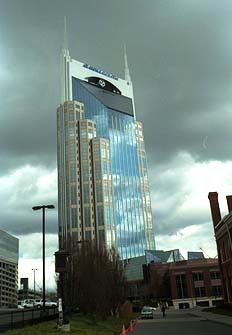 It's hard to miss this BellSouth building from anywhere in the city; it dominates the skyline. 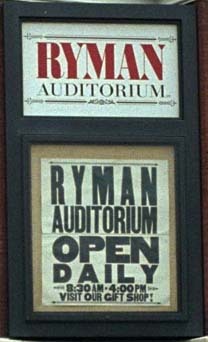 We went to the old Ryman Auditorium, original home of the Grand Ole Opry.